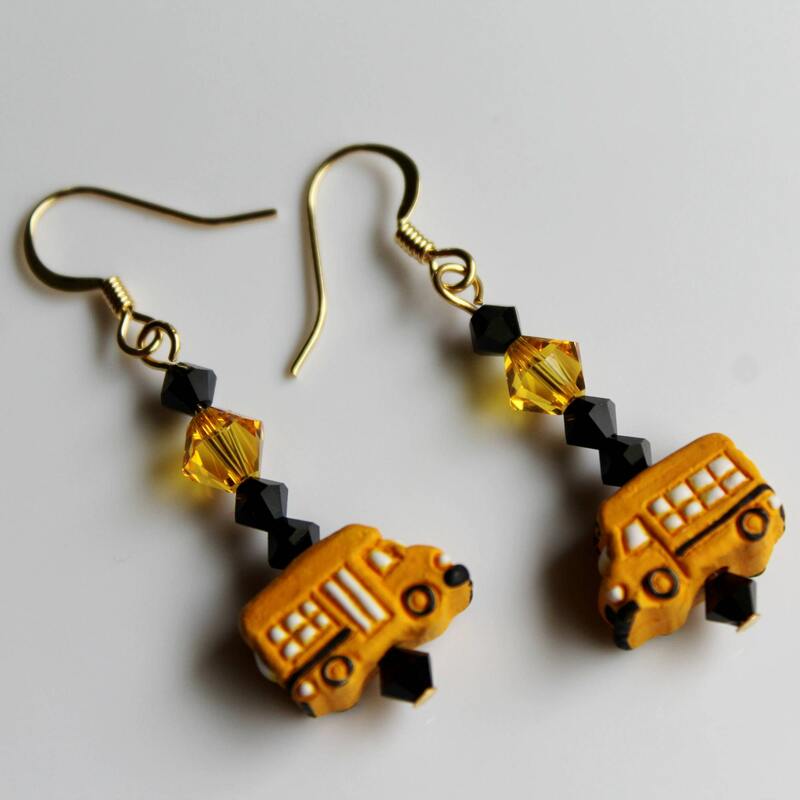 Don't forget the bus driver, and show your appreciation with these adorable School Bus Earrings...made with Swarovski Crystal Bicone Components. 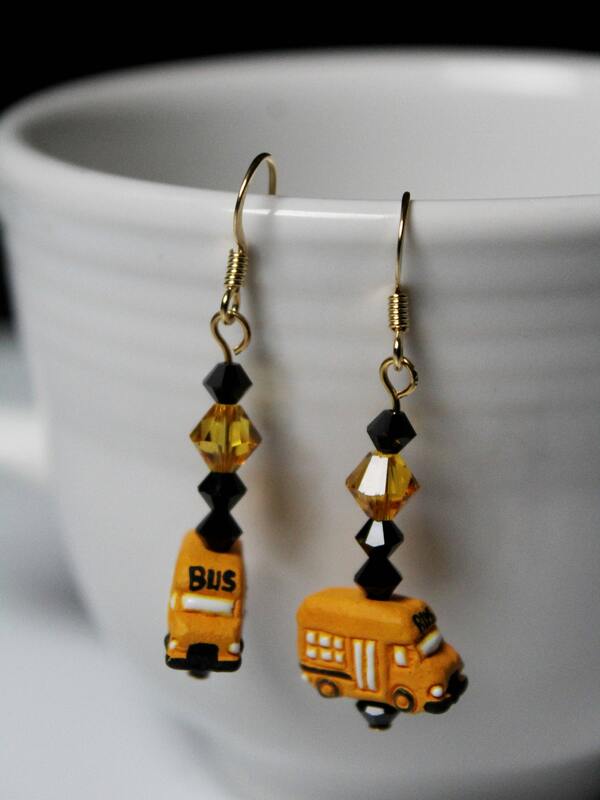 A little something, to show how thankful you are for a very important and not always so easy job! 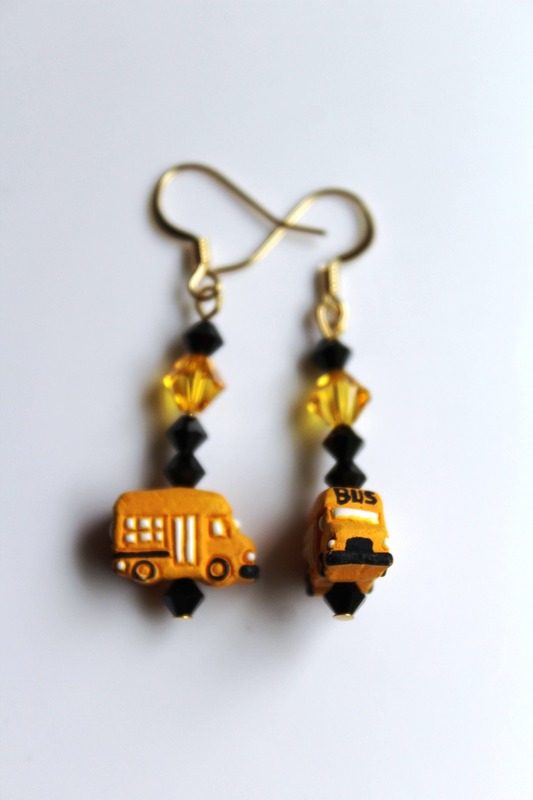 Bus alone - measures 9x14mm (about 1/2 inch wide). 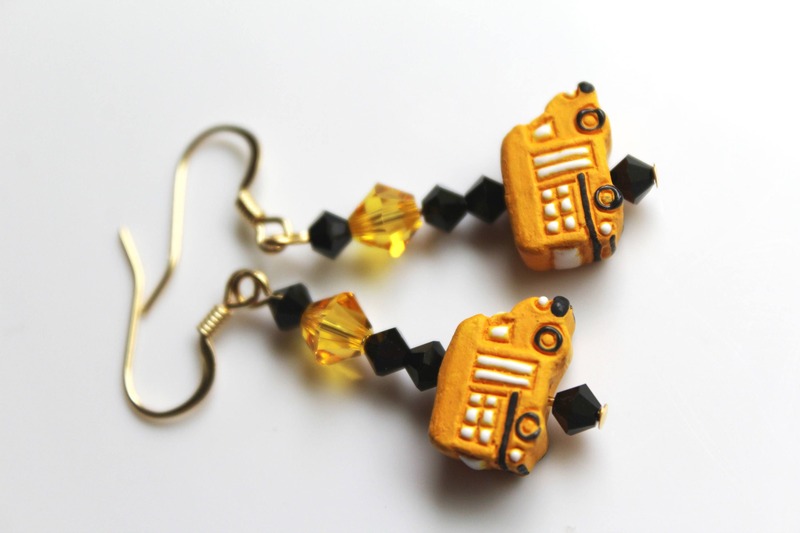 Beaded Dangle Section is approximately 1.25 inches long.